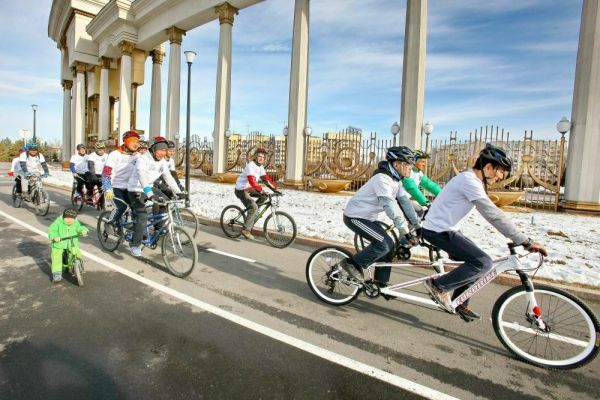 ASTANA – Kazakh athletes with visual impairments plan to bike this year from Astana to Paris. The tour aims to highlight the problems of accessibility and popularise sports among those with disabilities. “We want to draw attention to the problems of sports accessibility for people with disabilities. Also, in our opinion, the exchange of experiences with athletes of other countries is very important for this issue; it helps to motivate our athletes to communicate more and, of course, to develop their level of preparation. This is a great way to popularise sports. 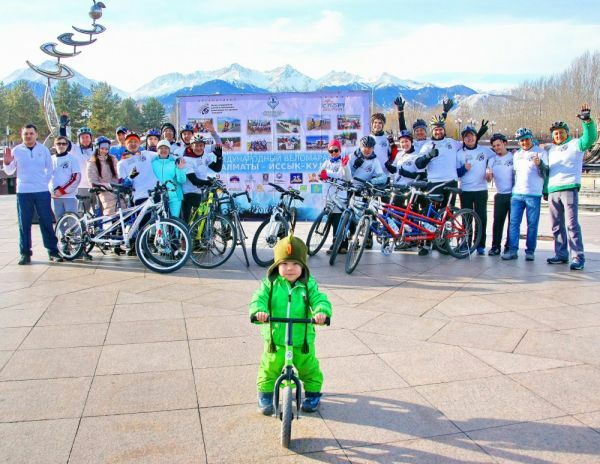 We encourage people with disabilities to be active,” said organiser Bakhtiyar Bazarbekov. He noted amateur cyclists are actively preparing for IRONMAN 70.3, the most popular international triathlon in the world, to be held in the city in June. “This will be one of the most important sporting events of the year, so we decided to take part in it. We have been improving the technique of swimming and running during the winter and now, with the opening of the bike season, there is an opportunity to improve cycling in the open air,” he added. The team is organised under the banner Sports without Borders, a social project intended to popularise sports among people with disabilities, according to the KazGeo press service. The cyclists recently held their first open training session at the Park of the First President to launch the new season. Friends, relatives and sports fans came to support them and they demonstrated good technique with a volunteer pilot in the tandem. Since creating the project in 2016, activists have conducted two special cycling marathons for blind and visually impaired participants. Accompanied by experienced volunteer pilots, they have ridden from Almaty to the capital and Almaty to Issyk-Kul, Kyrgyzstan.